Let’s face it--everyone needs tires. We’ve got the tires you need. Choose from top brands like MICHELIN®, BFGoodrich® and Uniroyal®. Not Looking for Brand New? Just because you’re buying tires doesn’t mean you have to spend a fortune. Action Al's Tire Co has a variety of reliable used tires for sale. All of them have been tested for quality and reliability and many of them are like-new. Looking for a quality tire shop in Washington, DC? Action Al's Tire Co has provided quality tire services and tires since 1962, and we’re not slowing down anytime soon. 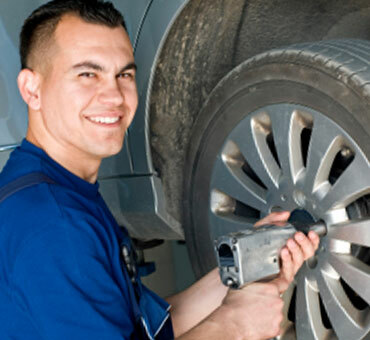 Bring your vehicle to us when you need tires, a TPMS adjustment, computerized spin balance or tire rotation. We’ll even fix your flat tire. Action Al's Tire Co is located at 2515 Bladensburg Rd NE in Washington, DC. We’re just a short drive from Bowie, MD and Silver Spring, MD. Visit us Monday-Friday from 7:45 a.m.-5:00 p.m. and Saturdays from 7:30 a.m.-2:00 p.m. Give us a call now at Action Al's Tire Co to schedule your appointment, or stop in to browse our tire selection.